Is it all doom and gloom for our economy? Listen: Is it all doom and gloom for our economy? Sirshin Moodliar chats to Chief Economist at the Efficient Group, Dawie Roodt about South Africa’s flailing economy and the repercussions of having Pravin Gordhan losing his post as Finance Minister. A lot has been made about Pravin Gordhan and the back and forth between himself and The Hawks. Many believe that The Hawks need to back off Gordhan or we could see our economy spiral out of control and head for junk status. The Hawks are investigating Gordhan on two alleged cases, one being the rogue unit tax service and the other a wrongful hire of an employee. Gordhan hit back at The Hawks by not handing himself in saying that The Hawks had no legal grounding in which to make an arrest. Whilst all of this is going on our precious rand is taking a knock. Many overseas investors have been asking economists in the country what just the hell is going on? It seems everyone involved in this saga is not willing to budge, including the President himself. The Finance Minister has taken a stern stance on his position and is continuing to do his job and get the economy back on track. The Hawks are deepening their investigation, whether the rumours of the Gupta families involvement is true or not. The economists are all chucking their files in the air and sipping on strong whiskey waiting to see what the next curve ball will be. 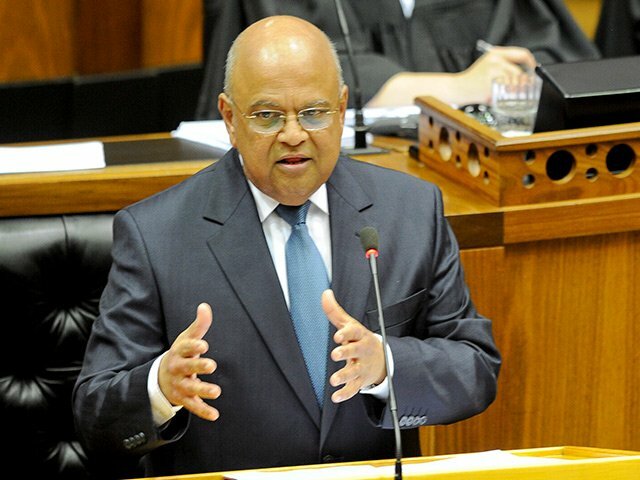 We asked you if Pravin Gordhan should meet with The Hawks and here is what you had to say. Sirshin Moodliar spoke to Chief Economist of the Efficient Group, Dawie Roodt what he made of everything, you will be shocked to hear how bad it all is, take a listen here.